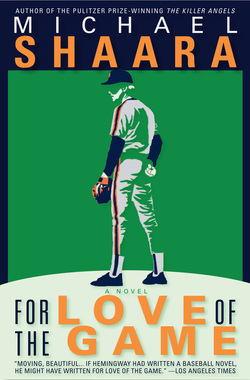 Michael Shaara's novel, For Love of the Game, was published posthumously. Well-received by the press, For Love of the Game was quickly optioned by Hollywood and made into a classic baseball movie starring Kevin Costner. A heart attack killed Shaara in 1988 at the age of 59. His son, Jeff Shaara, has written bestselling novels of the Civil War, Mexican War, WWI and WWII, receiving the commercial success Michael Shaara was never able to achieve.